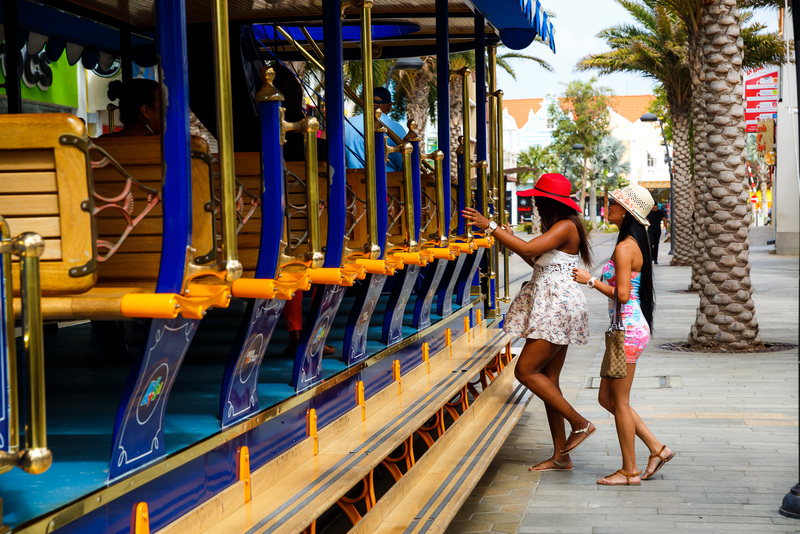 Getting around Aruba is quick and easy. Bus service to and from downtown Oranjestad and resort areas is reliable and inexpensive. Taxis are always available and have set rates. Many visitors rent a car for at least one day to see the sights beyond resort areas. Driving is on the right side of the road, foreign and international driving licenses accepted but no right turns on red light. Click here to view the road signs in Aruba. The taxi dispatch office, which can also arrange taxi tours, is located at Pos Abou z/n in Oranjestad, behind the Eagle Bowling Palace on the Sasaki road. There is inexpensive and reliable daily bus service between all the districts and the hotel areas. The rates charged for bus trip are very reasonable priced. A single bus trip costs 2.25 florins with your Smartcard and 4.00 florins or $2.30 cash. A day pas is 17.50 florins or $10.00. Check at your hotel for schedules and hours or visit www.arubus.com. The main bus station is located in downtown Oranjestad across from the waterfront shops and restaurants. From here, one can very affordably travel to anywhere along the hotel stretch. Originally only popular with the locals, tourists are discovering that this is an inexpensive and efficient way to get around between the hotel/beach area and downtown. Line Services: The largest operator is Arubus, a Government company that owns 48 buses, presently operating six lines. The most important one is the route from San Nicolas to Oranjestad and further on to the hotel zone. This line has a share of some 80% in the total passenger transport of Arubus. 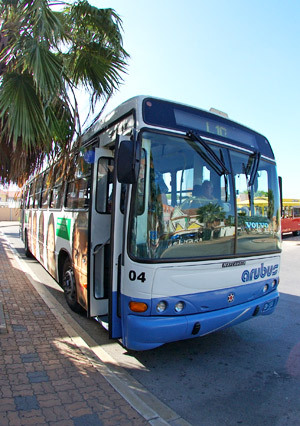 The other routes transport passengers from the smaller population centres to Oranjestad, San Nicolas and the hotel zone. Mini Buses: Around 40 buses (12 seats) supply regular transport on the road from San Nicolas to Oranjestad and hotel areas. These buses are privately owned. 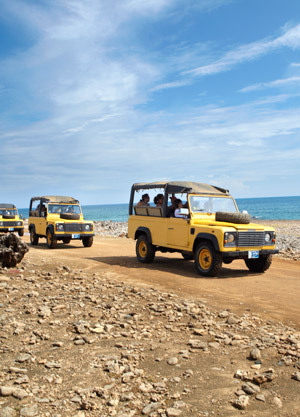 For the adventurous and people want to explore all Aruba has to offer, it’s a good idea to rent a four-wheel drive vehicle. The roads to many great sights are often rugged and not suitable for a car. Make sure that your spare tire is full of air before heading out into the rough terrain. Try to book your jeep well in advance to avoid disappointment. Your clients can rent their vehicle at the airport or can call and ask to be picked up at their hotel. Because of Aruba’s fine weather, most visitors love to be outdoors. A terrific way to get around this compact island is to rent a small motorcycle or scooter…. or a HARLEY! 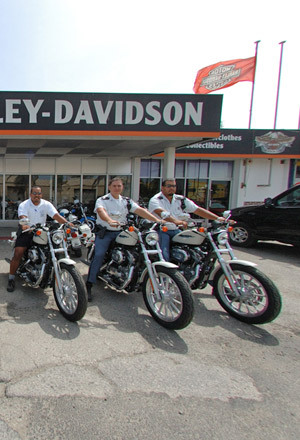 Yes, the tourists on this island love to rent Harleys! Your clients really get a feel for the distinctive topography and enjoy the “easy riding” at the same time. Renting a scooter or motorcycle for a day is probably the best way to see the island. On and off road adventures are a specialty of Aruba and there are many places that rent this mode of open air freedom transportation. A regular driver’s license is all you need! Helmets are supplied. 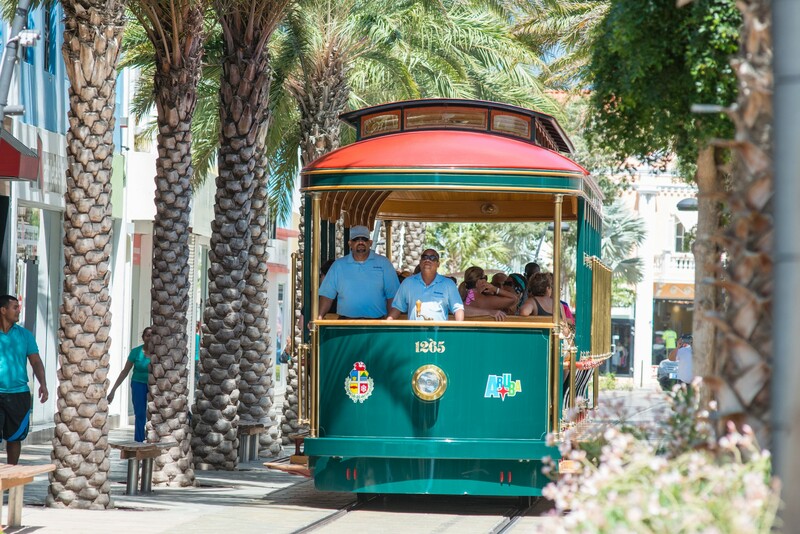 A battery-powered streetcar line was built from the cruise ship terminal down the capital’s main street, which was converted to a pedestrian mall. 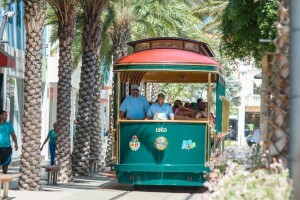 The trolleys offer free transportation to and from the main street downtown area in a loop with the cruise ship terminal. Viewings and direct accessibility includes: Huisje Wild, House of Parliament, Archaeological Museum, Fort Zoutman (Historical Museum), the Protesant Church, stores in the mainstreet also restaurants and more.